Clowns. 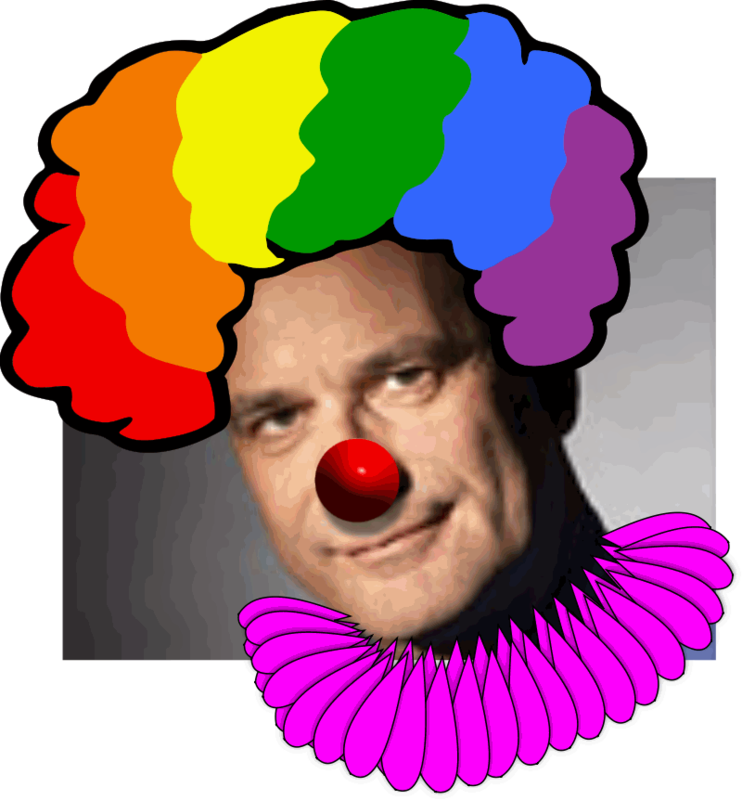 Its Always The Damned Clowns. Statist Gary Johnson masquerading as a Libertarian, along with gun grabbing sidekick Bill Weld have apparently brought the circus to the Detroit News. No wonder kids have nightmares about these guys. This write-up is in response to A post on the Huff Post called “The Real Reason White People Say ‘All Lives Matter’”. There are so many things wrong with it, the only way I could address them all is point-by-point. If it's something you want to do, it ought to always be available at the right price. Truth be told, both teams have some work to do. Packers broke out the catnip in the first half going to the locker room ahead of the Lions 31-10. In the second half, the Lions held the pack to a lousy 3 points, scoring 17 of their own. Funny how math works. 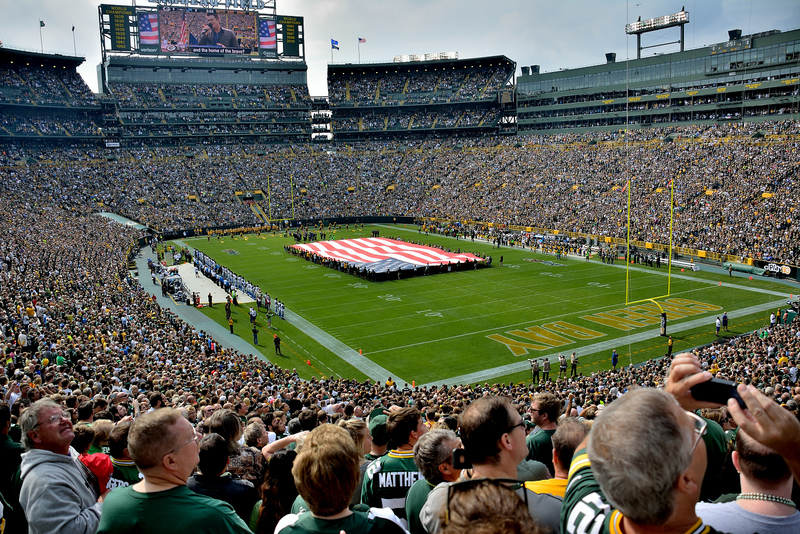 The seven point win over Detroit was a relief to Packers fans watching live, or in person by the end of the matter in Green Bay on Sunday. Both teams have talent, but remain unpredictable as the game clock is running. One interesting highlight of the game was the use of the NFL out of bounds rule to move the Packers ball return up to the 40 yard line by touching the ball while out-of-bounds. Okay, time for some fun for a change. My apologies for not having this up sooner, but this message originally got flagged and sent to another folder. 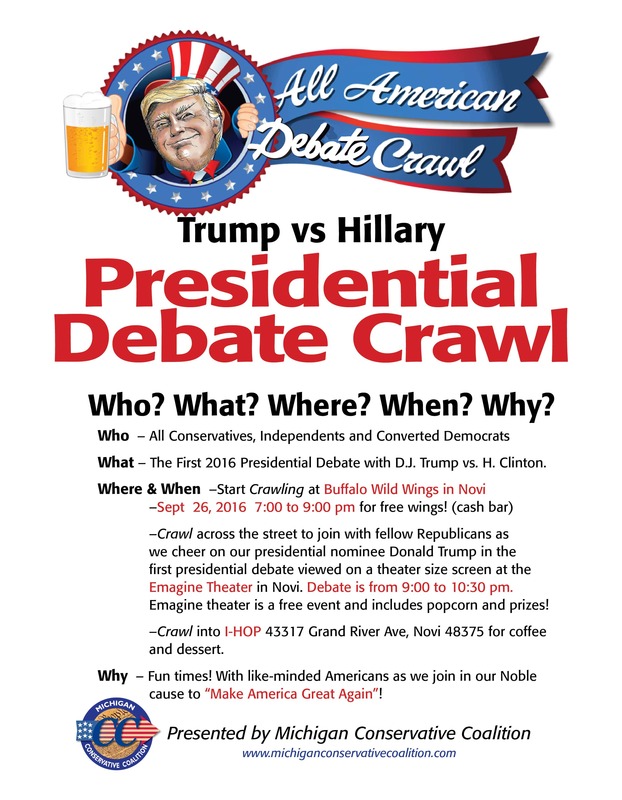 If anyone is in the Novi Area next Monday Night (September 26th), the Michigan Conservative Coalition will be holding a Presidential Debate Crawl @ the Emagine Theater where everyone can watch Trump beat the tar out of HRC (figuratively speaking, of course). 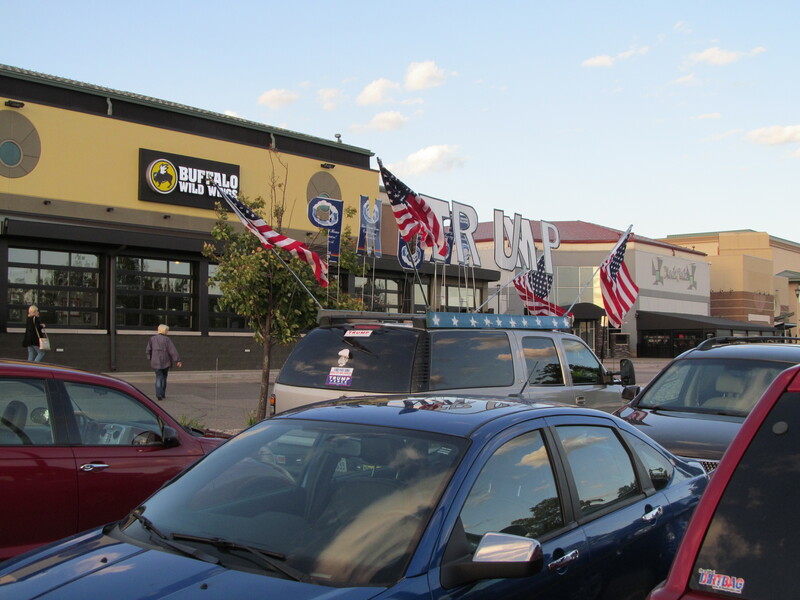 Doors open at 6:00pm at the Buffalo Wild Wings across the street. At 9:00pm everyone is invited to head over the Emagine Theater and watch the debate in a larger than life venue. Afterwards, everyone is invited to the Ihop for coffee & munchies. 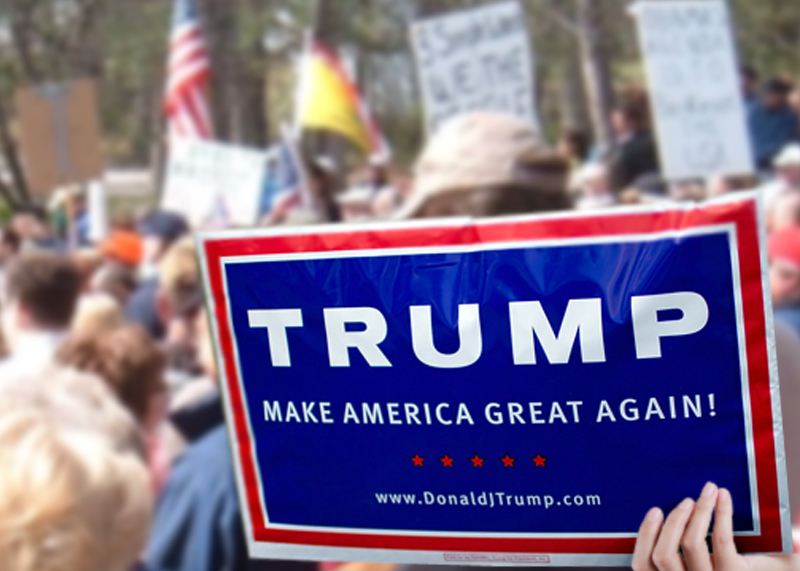 All in all, it sounds like a fun event to meet and interact with fellow Conservatives from across Michigan. With all the box seats are sold out, Michigan taxpayers are all in the peanut gallery. For each of the 148 State Senators, and State Representatives in Michigan, lobbyists spend about a quarter Million bucks each year. According to Craig Mauger at the Michigan Campaign Finance Network, this year they are on track to keep it going. Its all innocent ..of course. 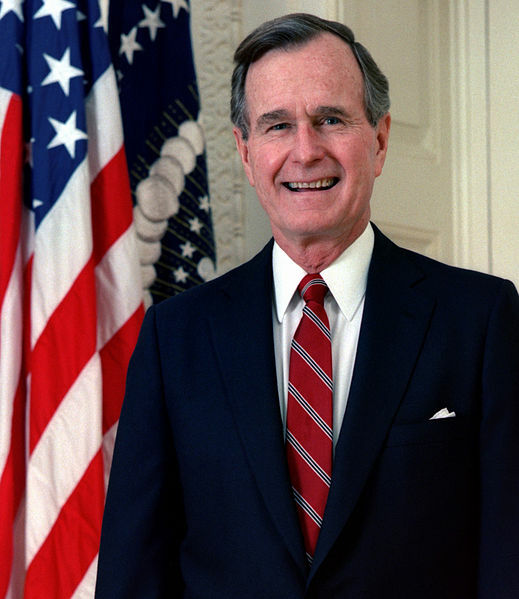 But please remember, your guy is in Lansing, and is outnumbered by trained agenda wielding operatives by a factor of 20 to 1. And that means “20 to 1” is just the average. But rest assured, all that money is only spent on positive outcomes, AM I RIGHT? 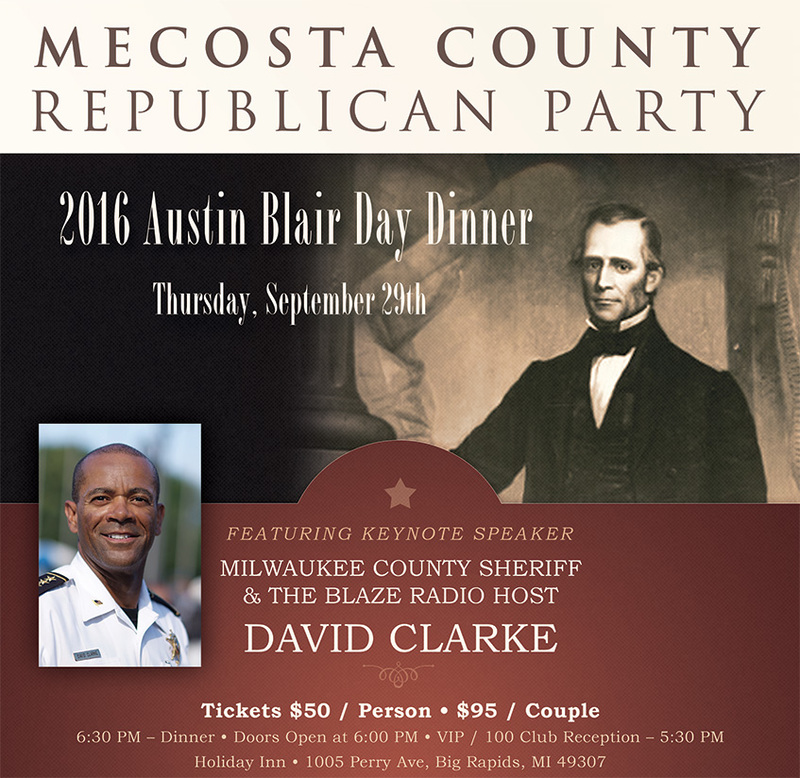 Milwaukee Sheriff David Clarke will be Keynoting the Mecosta County Austin Blair Day Dinner. Hosted by the Mecosta County Republican Party, the common sense constitutional sheriff will speak to dinner guests September 29, 2016 at the Holiday Inn in Big Rapids. Reservations and more information here.